Okay, the subject is kind of an attention getter. But to be honest, there really was a cow here… just a week ago. A real cow… bovine, hooves, moo… the whole thing. You’re going to love the cow’s name, too. But that comes in a minute. 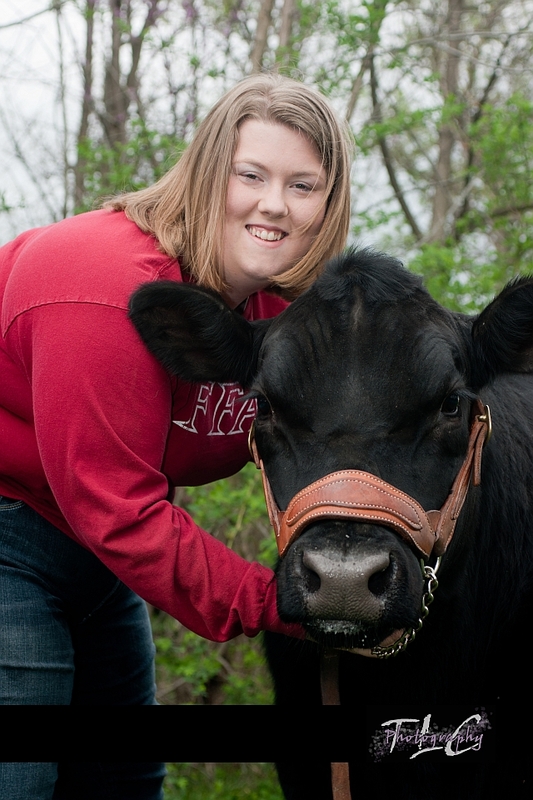 The REASON the cow was here is because it is the show piece of one of our seniors, Samantha. She wanted to highlight her affiliation with the FFA (she’s a local chapter president), and her intense love for farming. She’s even going to be going to school to specialize in farm science. That’s serious!